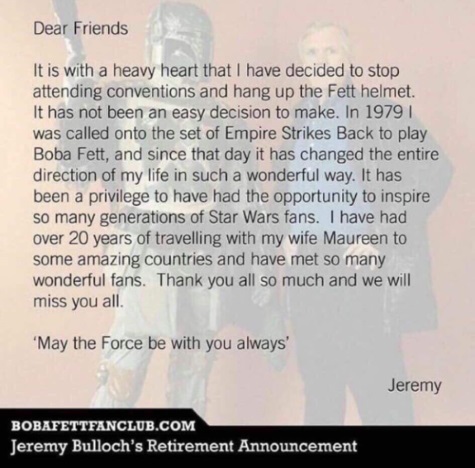 Jeremy Bulloch, who earned pop culture immortality playing the bounty hunter Boba Fett in the original Star Wars trilogy, announced this weekend that he is retiring from the comic convention circuit. It is with a heavy heart that I have decided to stop attending conventions and hang up the Fett helmet. It has not been an easy decision to make. In 1979 I was called onto the set of Empire Strikes Back to play Boba Fett, and since that day it has changed the entire direction of my life in such a wonderful way. 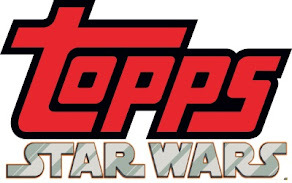 It has been a privilege to have had the opportunity to inspire so many generations of Star Wars fans. I have had over 20 years of travelling with my wife Maureen to some amazing countries and have met so many wonderful fans. Thank you all so much and we will miss you all. This image was posted on the website as well. 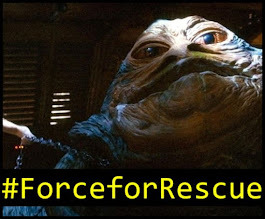 Bulloch not only played Boba Fett, he had an unmasked cameo in The Empire Strikes Back as the Imperial officer escorting a captured Princess Leia through Bespin. 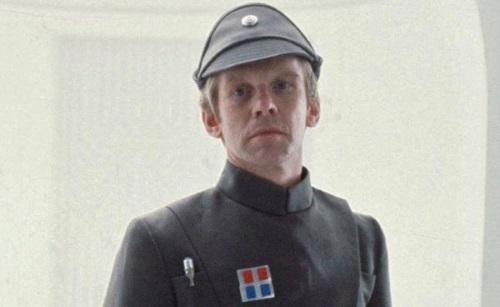 The 73-year-old actor also appeared in Episode III: Revenge of the Sith, as Captain Colton. 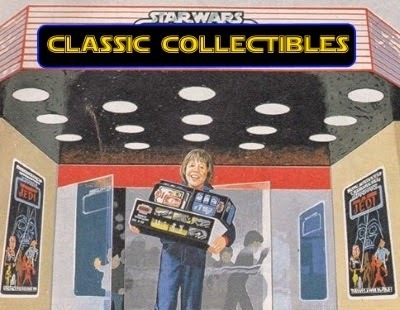 After his work as Boba Fett, he had a prolific career in British television. 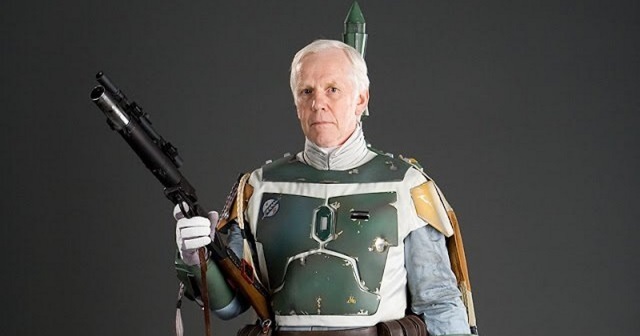 Post your thoughts on the retirement of Jeremy Bulloch in the comments section below. In addition, share this on social media.